Unfortunately there is no one correct answer to what are The Best Mattresses For A 300 To 400 Pound Person. 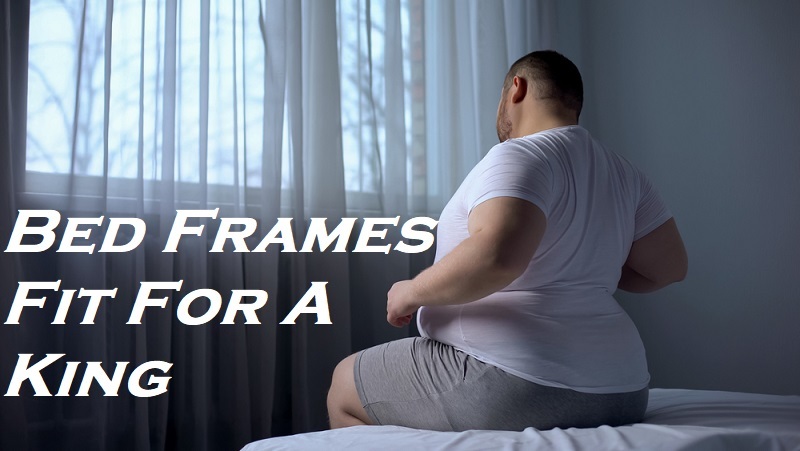 However, with comparisons and tried and tested mattresses from big Guys & Gals (Even overweight couples) throughout America, we have been able to drill down to just 2 mattresses we believe are the most appropriate to support up to 400 lbs per person. Buying a high weight capacity mattress should not be a rushed decision by any means. But if the current mattress is causing you discomfort and even pain, then it may be time to upgrade. A big person can easily squash an inferior mattress in a matter of months or even worse provide no support what so ever and you can bottom out. This is not a good situation, especially considering getting a good nights sleep is detrimental to my health. Generally I go for advanced memory foam mattresses with a overall thickness of at least 9 inches. Depending on your weight and size the thickness will increase. The thicker the better because its offering more layers of support and density. It’s also essential that your current bed can adequately handle not only your combined weights, but also the weight of the mattress too. The better mattresses which are specifically designed for heavy weight people tend to weight a fair bit more than your traditional mattress. A Heavy Duty King Size Bed Frame should handle these high weights. Below you can find the 2 of our recommended mattresses for people that weight between 300 lbs and 400 lbs. It’s important to know that most mattresses don’t actually come with a weight rating, this is because the foundation (your bed frame) is what takes the grunt of the weight. When you are prepared to buy a heavy duty mattress online, your not going to be able to test out the mattress like you would in store. However you sometimes have the bonus of cheaper prices and actual consumer reviews on the mattress. Which in my opinion is far more valuable. Not all salesman will be able to tell you how well a mattress can handle 300 pound couples for example. So keep this in mind and remember when it comes to where you spend 1/3 of your life, don’t settle for something inadequate just because its cheap. 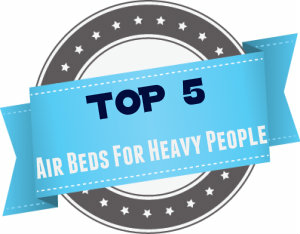 If the below mattresses don’t quite suit your taste, we have also a section on mattresses for heavy people in general. 4 Want More Heavy Duty Mattress Options? The Cool Breeze 12″ Gel Memory Foam Mattress by Dynasty Mattress has always been a favorite among my somewhat oversized family. The Cool Breeze was a recommendation from a friend of the family, and since that day I first discovered it, its been getting a lot of good coverage. One of this beds coolest features is how amazing it is at creating airflow. Don’t think like a fan or air-con, but more like cool particles flowing inside the mattress which are meant to bring down the overall temperature. For me this is extraordinary. I cannot tolerate heat and sweat while trying to get to sleep. The Cool Breeze mattress has been a wonderful addition over the hotter months. As for comfort, what can you expect from this mattress?. When I read the many reviews at amazon I came to one conclusion. This mattress is portrayed as pure comfort like nothing else we may have experienced. The one thing I hate most about being overweight is how hard it is to pull yourself up from things. This includes the bed. When a mattress is too soft you sink in, and as a large person this just creates an awful situation. I kind of look like a insect (A fat one) on its back trying to fly for the first time. Fortunately the Cool Breeze 12″ gel memory foam mattress is nothing like being an insect trapped on your back. The mattress has the perfect blend of softness and firmness to cater to bigger bodies. More firm than soft is an easy observation. The softness comes in from the memory foam which is about 3″ thick and is the top layer. Beneath the memory foam level is the air flow channels that create the cooler mattress. Anyways the memory foam is the soft layer that molds to your body and creates just an amazing experience. As its only 3 inches thick you shouldn’t sink to the bottom and struggle to get back up. The memory foam is basically the comfort factor to me which sits on the 4″ of air flow material and beneath that is the foundation to take out heavy weights. So being a 12 inch thick mattress, that means the base level is 5″ thick and does a great job of holding everything together. Bending and warping out of shape , I don’t think so! I love this rock solid mattress. Another awesome feature of this mattress are it’s pillows. Yup you read right. To sweeten the deal, Dynasty Mattress which by the way are rather popular mattress manufactures (this I did not know) might even throw in 2 gel memory foam pillows at no cost, but you may have to search around to find this offer. Something I was not expecting considering that some memory foam pillows can retail for quite a few bucks. Hopefully if you are going to buy the Cool Breeze mattress, you can manage to find somewhere where the pillows are included. The pillows are not too bad either. Do note: Now I may be wrong, but I believe this particular mattress is available to buy online, to keep costs down and offer high quality at the same time I imagine. The Dynasty Mattress Cool Breeze 12″ King Size Mattress HIGHLY Recommended. Watch this in depth video review of the Cool Breeze memory foam mattress to get a better feel of whether the mattress is right for you or not. I think you will benefit greatly from watching it before you buy. The Comfort Max 400 mattress is a fairly new innovative mattress designed specifically for large and obese people. Each mattress is basically made to order. Just like a Subway sandwich. While they have the formula or foundation in place, they actual can modify the mattress to suit your weight, size and whatever your requirements are. This is ground breaking for the Big Man & Women of America. The mattress composes of Talalay Latex Foam (Talalay being the actual process used to make the Latex) which is a slightly softer and more plush material than that of the Dunlop Latex. However the foundation on the Comfort Max 400 is what supports the latex material. The edges of the mattress have been reinforced so it shouldn’t bend down and get out of shape when trying to pull yourself out of bed. The comfort Max mattress is ideally suited to people whom are either 300 pounds or 400 pounds of weight. 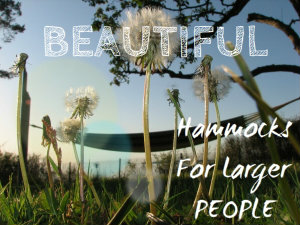 This is not necessarily a mattress for the ‘normal’ sized folks, but by all means check it out to see what you think. The mattress is 10 inches thick composing of a top layer and base layer. Both being 5″ thick. Top layer being the Talalay Latex. As this is a fairly new mattress and is specifically marketed at the big and heavy people, we will keep a close eye on it. As this mattress is handcrafted if you will, I can see the reasons for the rise in popularity. The quality and framework is definitely there but how well does the Comfort Max 400 perform and how comfortable is it?. You can check out the reviews and buy the Comfort Max 400 Mattress below. Want More Heavy Duty Mattress Options? Is there a store in the Birmingham, al. area that sells the dynasty so we can try it out. How does the price run? The Dynasty mattress is a online company whom appears to not sell in physical stores. You can see there website at http://dynastymattress.ecrater.com/about.php They have a phone number there, which may be of assistance. Higher density is definitely the key, because typically the higher the density the more durable the mattress is going to be. How are the edges on the Dynasty mattress? Right now they have a super deal on their mattresses and the new Leggett and Platt Prodigy 2.0 adjustable base but I’m leary about sliding over the side of the mattress if there is no reinforcement. However, everything else about the Dynasty gel mattress sounds perfect. Thanks! I love your site. I am using king size memory mattress. The quality and the size of the mattress is amazing and comforting. It is not only a luxurious mattress but also promises relaxation after a long hectic day. As per my height, the mattress is perfect for me and my family. What would be your recommendation for someone like myself. I am 6’5 and weigh 550 lbs. Thoughts? Because of your height you will certainly need a mattress that’s at least 80 inches long. Have you tried memory foam before?. I find these to be the best especially when you have further support foundations underneath. Memory foam is typically quite warm, which can be a bad thing for us larger folks. But these memory foam mattresses have been infused so that the trapped heat can escape and allow the cooler air to circulate. Check them out here. 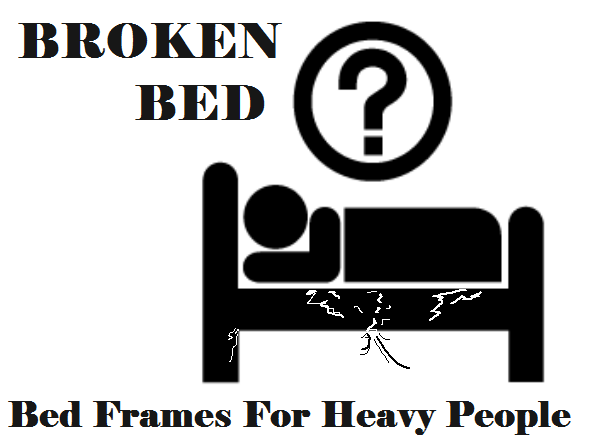 Next post Strongest King Size Bed Frames For Large Couples – Such A Thing?